Trying to see if I can post a photo of the latest socks I have knitted. 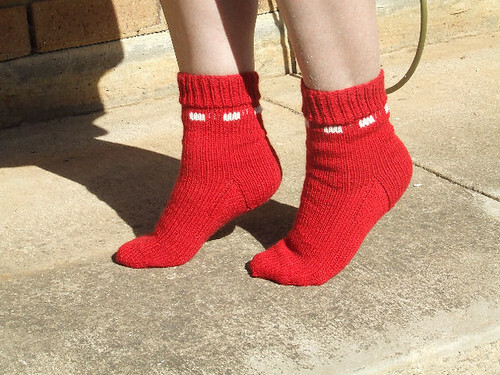 Re: Socks I have knitted. great job Lucky1 I can't knit well but I had a go at an Aran throw a few years back, it sits in my UFO pile. Thanks Bella I had a blanket I was crocheting out of odd wool and it took me about 5 years on & off to do it all. UFOs aren't all that bad.... as you can do a bit and pop it away. Oh they are, Scarecrow These are 8 ply and more like a dress sock. Very Flash You are clever! Just about to start a cable swap on a knitting forum I am involved in..... they are so much fun.